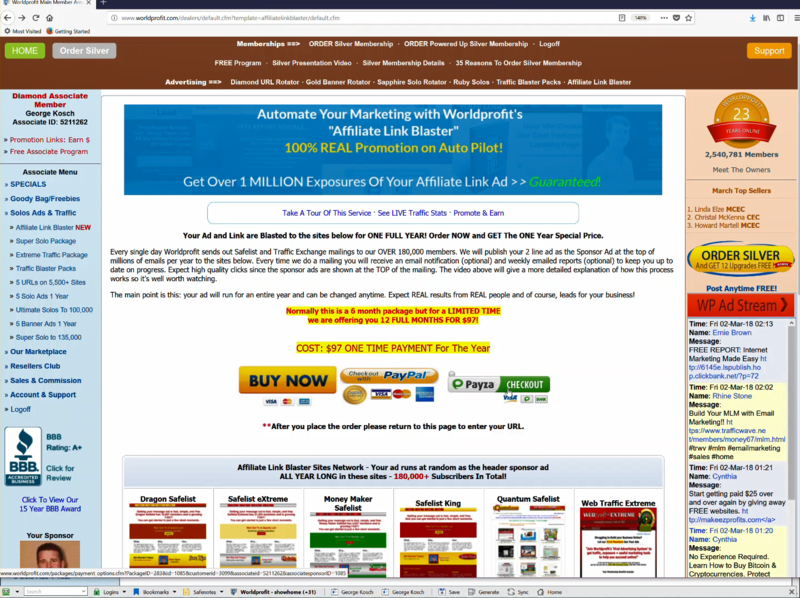 Your Ad and Link are Blasted to Worldprofit’s Top sites for ONE FULL YEAR! Every single day Worldprofit sends out Safelist and Traffic Exchange mailings to our OVER 180,000 members. We will publish your 2 line ad as the Sponsor Ad at the top of millions of emails per year to the sites below. Every time we do a mailing you will receive an email notification (optional) and weekly emailed reports (optional) to keep you up to date on progress. Expect high quality clicks since the sponsor ads are shown at the TOP of the mailing. The video above will give a more detailed explanation of how this process works so it’s well worth watching. The main point is this: your ad will run for an entire year and can be changed anytime. Expect REAL results from REAL people and of course, leads for your business! Next Article Awesome Worldprofit Review and Testimonial just in from Michael Beauchamp. That makes our day here at Worldprofit!